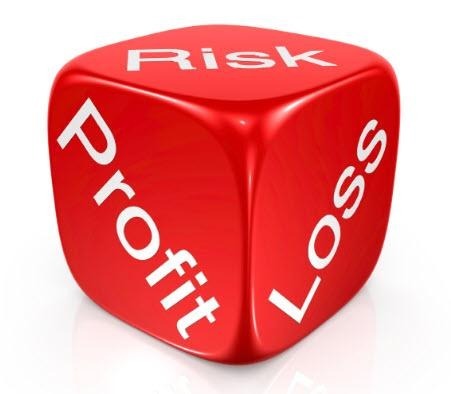 Think more risk equals more profits? Not necessarily. When the stock market crashed in 1987, I had been in this industry for only 2 years. I still remember the phone calls we received from shocked investors, wondering how 20%-30% of their money could evaporate overnight. And while the stock market recovered rather quickly from the ’87 crash, many historical recoveries have taken much longer. Large drops are particularly destructive if someone has just retired and begins withdrawing their money at the same time these drops occur. For example, assume for a few years you withdraw 5% and your investments lose 15%. After only 3 years you’ll be down 60%! Large drops like this may be impossible to ever recover from. This is exactly what happened to many investors who retired in the late 60’s and put all their money in the stock market (see figure 6). Besides the obvious suggestion to diversify, investors can do themselves a favor by spending as much time considering what can go wrong with their investments as what can go right. A doctor friend once told me that ALL medicines have side-effects. Similarly, I tell my clients that ALL investments have risk that should not be ignored. When our portfolio manager Joe Richard researches investments, he analyzes historical performances and correlations and pays special attention to losses and risk – even more so than profits. Why? Because a 40% loss requires a 67% gain just to get back to even! That’s why it’s so important to avoid EVER suffering a loss that you can’t recover from, especially if you’re near or at retirement. I’ll leave you with a real-life example of how devastating risk can be. In the late ‘90’s, Cisco Systems was like many tech companies that got caught up in the “dot.com” bubble. As greed consumed investors, Cisco stock soared and was trading at $72.80 per share on 3/1/2000. Six months later on 9/3/2000 the stock was trading at $9.87 – a devastating 86% loss. Today (7/11/18) the stock is trading at about $42, meaning that the person who bought this stock back in March of 2000 isn't even close to recovering from their losses - after 18 years! The current bull market is in its 9th year. The higher stocks go, the higher the risk of a large drop. Now is a good time to take a serious look at the risk you’re assuming with your investments and be sure it is appropriate for your goals.